Look who came to chat about steel guitars! 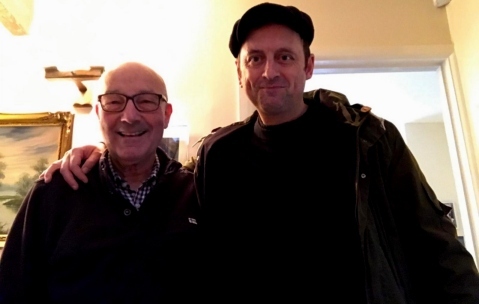 Yes, Matt Allwright drove over to my place and brought with him his beautiful Bennett S8 lap steel with a Duesenberg Multibender - fitted by Mick Johnson (http://mickjohnsonguitars.com/). Luke is from the US, but currently living in Munich, Germany. He's very good, in my view.